This informative new volume provides a hand-picked selection of useful techniques, ideas, competencies, and skills for working with children in school settings. The book comprises both research (qualitative, quantitative, and mixed-design) and conceptual pieces about the most effective, current professional practices for professionals who work with P-12 children in schools. 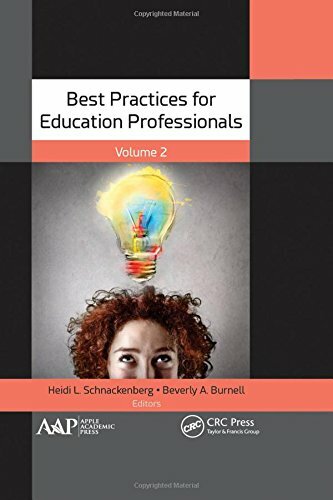 The practices described here will be useful for a wide assortment of professionals within education, including practicing teachers, school counselors, school psychologists, speech language pathologists, administrators, and education students. About: This informative new volume provides a hand-picked selection of useful techniques, ideas, competencies, and skills for working with children in school settings. About: Best practices currently advocate that education professionals consult and collaborate with colleagues across disciplines as a means of providing students and their families a comprehensive, developmental approach to studentsâ academic, career, and social/personal growth.